Whether you want to rent a car for your business meetings or vacations, EziDrive has wide range of vehicles available to meet every car rental need. Our services are discreet and our rates are also affordable. All our drivers are well trained and experienced to ensure your safety and comfort. Dedicated fleet of well maintained car rental across cab segments viz. Budget, Economy and Deluxe. Professionally attired, well mannered chauffeur car hire service. We operate on a 24 * 7 basis including holidays in Bangalore and Chennai. Online booking of cab vehicles supported by automatic response mechanism. Provision to view history of car rental bookings online. Get the best fares even at peak hours or on rainy days! Airport transfers: Option to choose either fixed or variable price for cab hire for airport pick-up & drop at some place within Bangalore, Chennai city limits. Local trip (within city use): Service provided on a slab basis of hour/km combination (see Tariff below). Outstation trip: Car rental service provided on per day minimum km or actual km basis, whichever is higher. For us, a road tour is one of the best ways to explore the dimensions of India. You will consistently find something to look at and something new to experience. We always strive to provide the best travel experience to our customers. 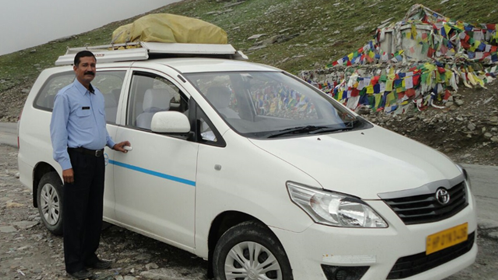 Being the best car rental company in Bangalore, we are expert in providing city tours, sightseeing and day trips with experienced tour drivers. We always focus on making your trip memorable. For car rental in Bangalore or Chennai, all you need to do is simply browse our website or use our app to choose and book the vehicle you like. For any clarifications or queries, you can call us at (080) 42400000 / 67000000 (Bangalore) & 8822800800 / 08067000010 (Chennai).